The artery of Percheron was first described in 1973 by French Neurologist Gerard Percheron. 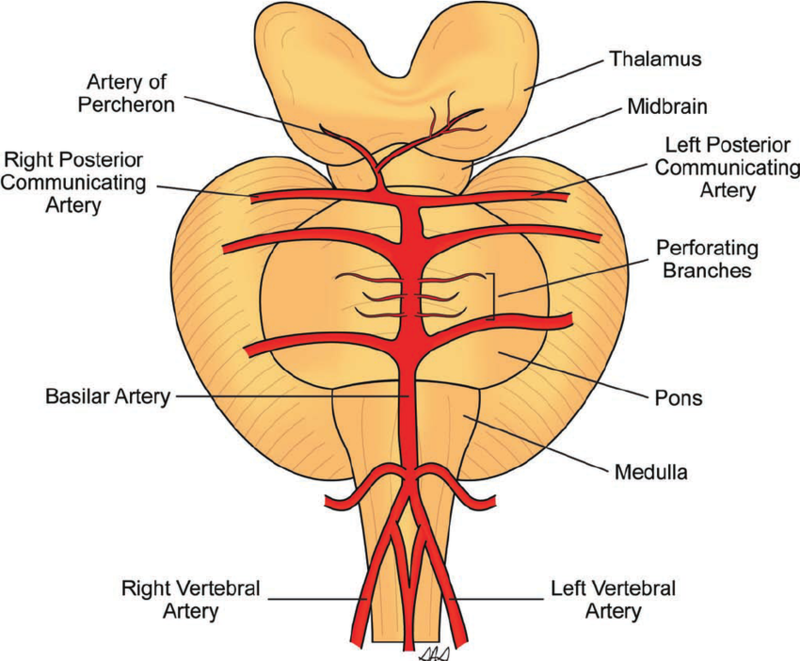 It is interesting as it is an artery that provides vascular to two paramedian structures as most brain end arteries respect the midline and do not supply bilateral structures. It can produce a classical clinical presentation as seen below. This is a single vessel that supplies bilateral structures. Usually there is an artery on either side supplying the right and left medial thalamus. Note there is an error in the graphic so read Posterior cerebral artery and not posterior communicating artery. Result of bilateral damage patient is unresponsiveness and acute coma. Somnolescence - patient is unresponsive but may roll over and pull up bed clothes as if sleeping. Coma in others even needing intubation. 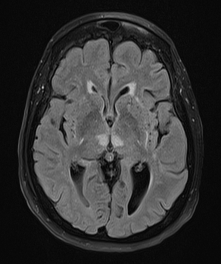 MRI: classical bilateral "butterfly" medial thalamic infarcts and may show some midbrain involvement. 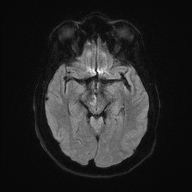 There may be the V sign of a hyperintense signal intensity on axial FLAIR and DWI images along the pial surface of the midbrain in the interpeduncular fossa in 67% in cases of AOP infarction with midbrain involvement. Consider thrombolysis and /or thrombectomy if appropriate. 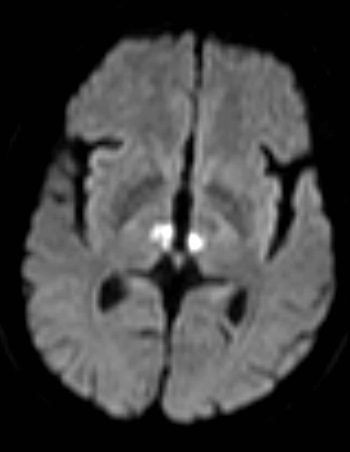 However often the presentation is difficult and diagnosis delayed and beyond window for thrombolysis. Uncertainty means that one may give antibiotics, antivirals initially as ?? 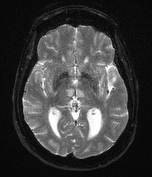 Meningitis/Encephalitis. LP may be normal or mildly elevated protein. Can make good recovery. But there may remain memory and cognitive issues. Manage as other ischaemic strokes. Look for embolic sources.